Chaz Wilmot makes his living cranking out old-master parodies for ads and magazine covers. When he's offered a job restoring a Venetian palace fresco, he is at first, skeptical - he immediately sees it is more a forgery than a restoration. But he is soon seduced by the challenge and throws himself into the work, doing the job brilliantly. The real Richard Marder would shock his acquaintances, if they ever met him. Even his wife, long dead, didn’t know the real man behind the calm, cultured mask he presents to the world. Only an old army buddy from Vietnam, Patrick Skelly, knows what Marder is capable of. Then, a shattering piece of news awakens Marder’s buried desire for vengeance; with nothing left to lose, he sets off to punish the people whose actions changed his life years earlier. Somewhere in Pakistan, Sonia Laghari and eight fellow members of a symposium on peace are being held captive by armed terrorists. Laghari, a deeply religious woman as well as a Jungian psychologist, has become the de facto leader of the kidnapped group. While her son, Theo, an ex-Delta soldier, uses his military connections to find and free the victims, Sonia Laghari tries to keep them all alive by working her way into the kidnappers’ psyches and interpreting their dreams. A very smart thriller, very well read. The setting is Miami. Rookie cop Tito Morales arrives at the Trianon hotel to investigate a routine disturbance call and, to his shock and horror, watches as a wealthy oil man plunges ten stories and impales himself on a nearby fence. Soon Morales is joined by detective Jimmy Paz, famous throughout the city for solving, or at least providing a plausible solution to, the so-called Voodoo Murders that left Miami burning months earlier. At an exclusive school somewhere outside of Arlington, Virginia, students aren't taught history, geography, or mathematics - at least not in the usual ways. Instead, they are taught to persuade. Here the art of coercion has been raised to a science. Students harness the hidden power of language to manipulate the mind and learn to break down individuals by psychographic markers in order to take control of their thoughts. The very best will graduate as "poets": adept wielders of language who belong to a nameless organization that is as influential as it is secretive. "Tap-tapping the keys and out come the words on this little screen, and who will read them I hardly know. I could be dead by the time anyone actually gets to read them, as dead as, say, Tolstoy. Or Shakespeare. Does it matter, when you read, if the person who wrote still lives?" Those are the words of Jake Mishkin, whose seemingly innocent job as an intellectual property lawyer has put him at the center of a deadly conspiracy and a chase to find a priceless treasure involving William Shakespeare. As he awaits a killer (or killers) unknown, Jake writes an account of the events that led to this deadly endgame, a frantic chase that began when a fire in an antiquarian bookstore revealed the hiding place of letters containing a shocking secret, concealed for 400 years. In a frantic race from New York to England and Switzerland, Jake finds himself matching wits with a shadowy figure who seems to anticipate his every move. What at first seems like a thrilling puzzle waiting to be deciphered soon turns into a dangerous game of cat and mouse, in which no one - not family, not friends, not lovers - is to be trusted. Moving between 21st-century America and 17th-century England, The Book of Air and Shadows is a modern thriller that brilliantly re-creates William Shakespeare's life at the turn of the 17th century and combines an ingenious and intricately layered plot with a devastating portrait of a contemporary man on the brink of self-discovery...or self-destruction. ©2007 Michael Gruber (P)2007 Tantor Media Inc. This book is not for everyone. It's 3 stories in 1. Stephen Hoye (Narrator) has a sardonical style that would turn many off. I happen to like him in this book but have found him tedious in others. The author has an eye for detail. Instead of going in a direct line. He relays the history background and the interaction of the players. I wouldn't call it an action book at least so far. The first 3rd is background on the characters and interaction. I'm 1/3 of the way through this book and just had to review it because it's new, no other reviews and just so good. So if you are the action type looking for a action book this isn't for you. If you are a little more literary and like a book that goes into details of the characters lives viewpoints and motivation. Slowly building a story You'll eat this up like a child with a plate of chocolate pudding!! The narrator has done a great job with this book. The story is excellent. The use of language steals the show for anyone who appreciates english written and spoken well. This is some of the most self-indulgent prose I've seen (heard) in a while. He has the elements of a good story buried in the whiney narration. Because of the self-conscious feel, it seems like it was written by the Lit. professor rather than the attorney. 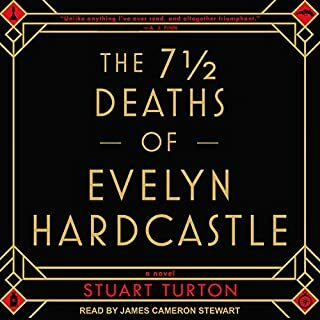 I hope that Audible will include some more of this author in its listings. This plot is thoroughly engaging, his characters are well drawn, memorable, and vivid, and the narrator, in many voices and dialects, is expert. 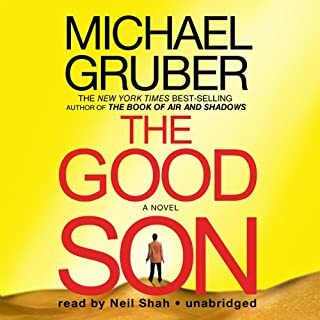 Moving us back and forth in time, and through the neighborhoods of New York as well as other environs, Gruber keeps us completely involved. No spoilers here-- enough to say that the story will draw you in instantly,and I guarantee that you will be finding all sorts of excuses to hook up the ipod and listen till it's over. Enjoy!! I echo the opinion of "Pat from Salinas" et al. re:narration. I may at some point in the future try to read this book, if I can erase the narrator's influence from my memory. Perhaps if I turned up the speed option on my ipod? I'm trying to push through, but presently think that Mr. Hoye should convert to reading bedtime stories. That should work well. Hard to overlook the narrator's influence in rating the book isn't it? 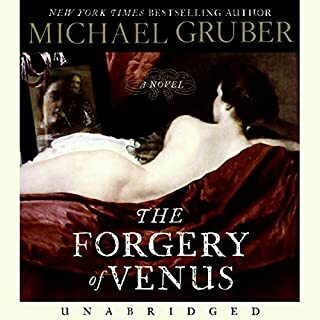 deeply and well researched and detailed, full of surprizes all the way through, definitely better than da vinci code, reader excellent-after a fast 19 hour listen it left you wanting to hear more. 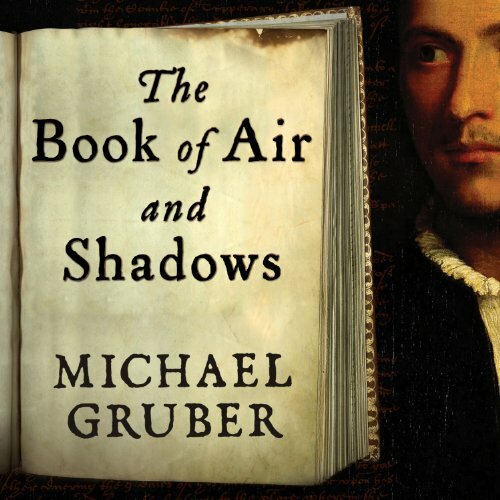 What made the experience of listening to The Book of Air and Shadows the most enjoyable? This author was new to me. 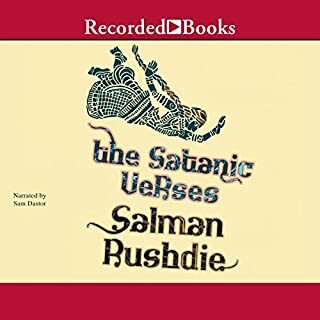 I bought the book based on its summary in Audible. Lost Shakespeare manuscript, mystery to unravel, etc. the sort of thing I like. What fun it turned out to be! We get to follow from several characters' perspectives the tracking down of this, possibly fraudulent, enigma. We even get an intriguing fragment of real (also possibly) 17th century letters concerning the S- man himself. Worth millions. Possibly... While all the while exploring the psyches and libidos of all involved. Add Russian gangsters and a convict priest -- what's not to like? Did Stephen Hoye do a good job differentiating all the characters? How? The reader was not new to me, however, Stephen Hoy had narrated Hiassen's book Star Island, which I hated. One of that book's least appealing characters is the irritating, grasping mother, read with an even more irritating parody of a Brooklyn Jewish accent. There was a mother in Air and Shaddows also, but she was Italian, and a highly literate librarian as well. But I guess mr. Hoy has only one mother voice. Despite this, and his kind of insinuating style of delivery in general, his narration did begin to grow on me. Throughout the book the reader is led down the garden path, along with the gullible characters. But we are too smart for him, right?? All of which makes the ending of the book all the more delightful! This book does not appear to be one of a series, (my preference) although the main protagonist is an intellectual properties lawyer, who could potentially ferret out more literary secrets. 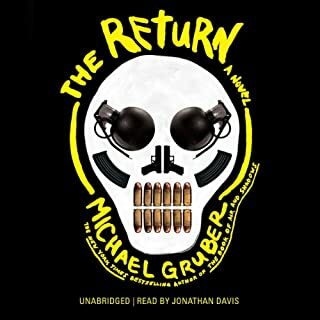 But I have not seen the last of Michael Gruber. Some listeners may have enjoyed the jumping back and forth between the 17th and 21st centuries that this book provided, but I didn't. The good part was that I started to understand the 17th century dialogue about halfway through and it was probably germane to understanding the plot. 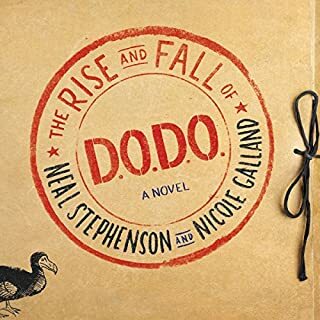 I think the author had too many contrivances and twists built into his story and the characters were a little bit like those found in comic strips. Still, with all the perceived inperfections in the story, I enjoyed the listen and think most others will too. The narrator did a great job. A tale that really moves right along. The story is told from three different points of view (1st person protagonist, 3rd person focusing on secondary character, and narrations of 17th-century letters). Between the excellent reader (try _Skinny Dip_ if you like his reading as much as I did), the shifting points of view, and some very nice plot twists, I found this to be excellent reading for a long car trip.